Denmark coach Age Hareide said his critical remarks of World Cup hopefuls France were "taken out of context" ahead of Tuesday's World Cup clash with the Group C leaders. Hareide gave a withering assessment of France in the run-up to the tournament, claiming they were "nothing special" and that they lacked a "leader such as Zinedine Zidane". "First of all these were things taken out of context," Hareide said in Moscow on Monday. "If you'd read the whole article you would have seen I was comparing with the '98 team. "You can pick anything from an article you like, but I was just comparing with the best version of France we have ever seen." Denmark face France needing a point from their final game to be sure of a place in the last 16, as they bid to reach the knockout rounds of a World Cup for the first time since 2002. 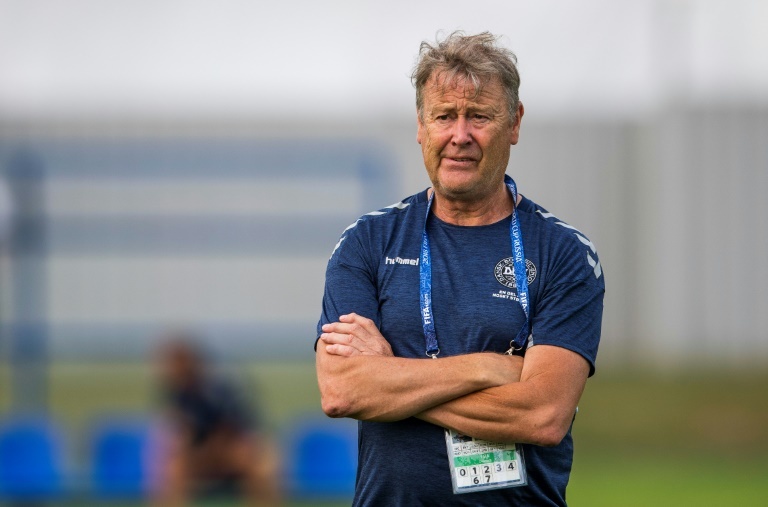 Norwegian Hareide said the Danes would go in search of victory, resisting the dangerous temptation to look to settle for a draw. "I know one point will be enough but that's not a good way to start the match," he said. "If you put that into your players' heads there will be passiveness in the team and that's not good." "It will be a tough match tomorrow," Hareide added. "The players worked very hard in the first two matches. "We haven't done our best in terms of play but we've worked very hard for the points. We can't ask for more." Hareide singled out Paul Pogba for his flashy haircuts as part of last month's criticism of France, but the 64-year-old was far more complimentary on Monday. "France have a team with so many good individual players," said Hareide. "With Pogba you know what he delivers as a player, you can't really compare with anything in Europe. And you have (Antoine) Griezmann up front, those are two pre-eminent players." Denmark would qualify regardless of how they fare against France if Australia fail to beat Peru in the other group match in Sochi. Hareide admitted he and his coaching staff would be keeping an eye on proceedings in the Black Sea resort. "We do have communication with our guy who is there and my assistant Jon Dahl (Tomasson) will receive the information," Hareide said. "We will know how that's going on an ongoing basis. I'm not sure I'll tell the players though."